Although dental procedures may not sound as scary as most other surgeries, you should always be careful any time anesthesia is involved. Be prepared for pain (or at least mild discomfort), bleeding, swelling, and possibly nausea, depending on the procedure and your body’s unique reaction to anesthesia and pain medication. To help things go as smoothly as possible, here are 14 things to avoid before and after any dental procedure. Do not eat or drink anything the morning of the surgery. Do not eat anything hard/crunchy (pretzels, chips, etc.) or chewy (steak, gum, etc.) for six to eight weeks after the procedure. Stick to soft foods (yogurt, broth, et.) 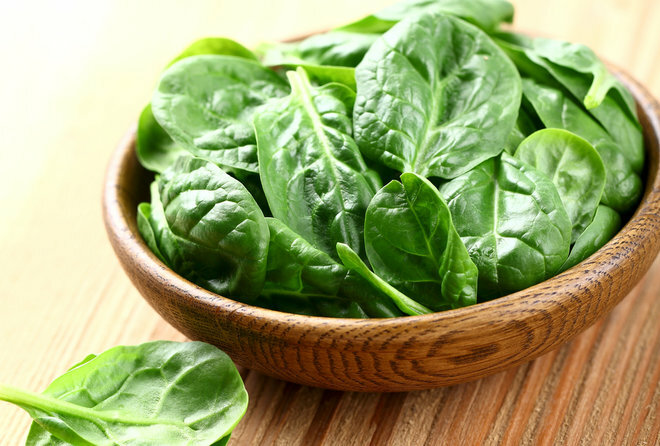 that are rich in Vitamins A or C.
Do not eat rich, fatty foods, as they may cause nausea. Avoid hot foods and drinks until the effects of the anesthesia have completely worn off. Otherwise you may burn yourself without realizing it. Do not drink alcohol or use a straw for at least the first 24 hours after oral surgery. Do not participate in any heavy lifting or strenuous exercise for at least 48 hours after the procedure, depending on how long it takes the swelling to go down. Do not use any full-strength mouthwash within the first week after the procedure, as mouthwashes contain alcohol, which inhibits healing. Warm salt water rinses are recommended. Do not chew anything until the effects of the anesthesia have completely worn off and you have regained full sensation in your tongue and cheeks – otherwise you risk biting your tongue and/or cheeks without realizing it. Do not eat rice, seeds, or anything else small enough to risk getting lodged in the surgical area. Do not eat for at least 2-3 hours after the procedure, in order to give the open wound(s) time to clot. Do not smoke (preferably ever, but at least one week after the procedure) because the suction involved increases bleeding and the nicotine and tar can stop the blood from clotting and the wound(s) from healing. Do not change or remove the gauze pads for at least one hour after the procedure. Do not rinse or brush vigorously after the procedure or poke the area with your finger or any objects. You should gently brush your teeth, but be careful to avoid the affected area(s) as much as possible. These are all general guidelines you can follow with almost any dental procedure, but every procedure and every body is different. You may have certain unique problems appear after surgery that don’t bother anyone else and/or you might not experience some of the post-procedure symptoms that are common in many other patients. Stay aware of your body and note anything unusual, especially if it persists. Notify your dentist if anything seems off and it isn’t going away, especially if it looks like the site isn’t healing as well or as quickly as it should. What Happens If I Have Chipped A Veneer? If you’ve chipped a veneer, the first thing you need to do is make an appointment to see your dentist ASAP. But if they’re unable to see you right away (a chipped veneer does not constitute an emergency) what do you do in the meantime? If part of the veneer has broken off, carefully remove and examine the fragment. If the entire veneer came off in one piece, your dentist may be able to reattach it without the need for having an entirely new one made. In that case, you should hold onto the veneer and bring it in the next time you see your dentist. Wrap it in tissue and store it in a hard, protective case, such as a medicine bottle. That will keep the veneer from breaking further until you get it in for your dentist to examine. If just a part of the veneer broke off, carefully examine the piece(s) still attached to your tooth. The chip may have caused some sharp edges that can prove hazardous to your tongue and/or lips, so be careful. Depending on the size of the chip and where on the veneer it broke off, your dentist may be able to buff the remaining veneer to smooth any sharp edges and eliminate any evidence of the missing chip. It’s painless, although the surrounding teeth might also need to be reshaped in order to maintain the uniformity and symmetry of your smile. The veneer might have been chipped as a result of a one-time occurrence, such as biting into something that was surprisingly hard. 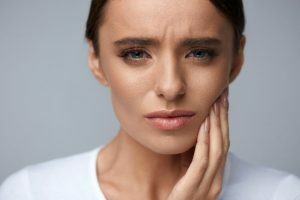 But it’s more likely that it was caused by something you do habitually, such as clenching/grinding your teeth or biting your nails. 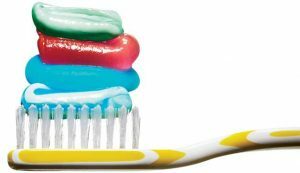 If you know you have a bad habit that’s hard on your teeth, consider ways to break yourself of the habit. You can ask your dentist for tips on how to do so, as they see those kinds of problems all the time and are accustomed to helping treat them in their patients. On the other hand, if you can point to a specific, one-time occurrence that happened right before or during the time the veneer was chipped, you can simply make a point to avoid that food and other related activities/foods in the future. In most cases, a small amount of the tooth’s surface is shaved away to make room for the veneer. That means, when the veneer comes off, whether as a whole or in pieces, there’s no immediate danger to the tooth. You might experience some extra sensitivity to hot and cold until your dentist can replace the veneer, and as previously mentioned, there might be some sharp edges you need to look out for, but the tooth itself will be perfectly safe until you get a chance to see your dentist. If the sharp edges are a problem, you can use dental wax to cover the area. Just flatten a tiny piece of wax and press it over the affected area. Let it work its way between your teeth to help hold it in place. Spring is in the air, flowers are blooming, and those of us with gardens are busy getting down in the dirt to grow the plants we love. But did you know some of those plants can help improve your oral health? If you have (or have been thinking of starting) a vegetable garden, here are some healthy, nutritious choices that can also help protect your teeth. Celery has strings that actually help clean plaque off your teeth and can even get to areas of your mouth that are difficult for you to reach with your toothbrush. Other crisp fruits and veggies (such as apples and raw carrots) can also help remove plaque and freshen your breath. Garlic is known to prevent plaque and can also help prevent soreness. If you have a tooth or an area of your gum that’s giving you trouble, you can put garlic on the spot to relieve soreness until you can make it in to the dentist. Cucumber is rich in fiber and actually massages the gums to increase blood flow and prevent diseases. Basil is known to have anti-bacterial properties that kills germs and prevents disease, including gum disease and gingivitis. Bloodroot is an herb with anti-microbial properties that kills germs and is even used as an ingredient in some toothpastes. Rosemary is high in calcium, which helps build strong teeth and bones. Cloves are another effective painkiller for easing mouth soreness. It’s also highly anti-inflammatory, which means it’s effective at combatting inflammatory diseases like gingivitis and gum disease. It also has anti-bacterial properties. Mint, Nutmeg and Cilantro are all known to have anti-bacterial properties to help keep your mouth healthy. Cayenne, Sage, Turmeric and Ginger all have strong, anti-inflammatory properties, which makes them effective at battling gum disease and gingivitis, both of which are inflammatory diseases. Leafy Greens are rich in folic acid, which helps keep mouths healthy in addition to promoting cell growth throughout the body. 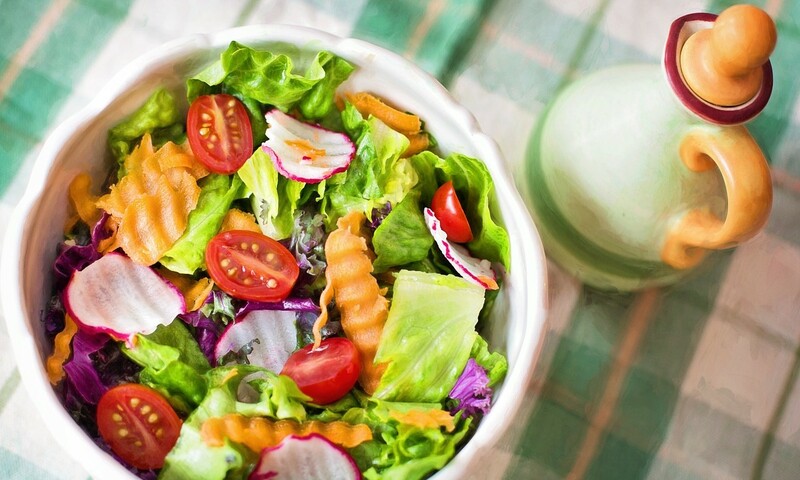 So whether you prefer kale, bok choy, spinach, or just lettuce for a hearty salad, make sure to include some leafy greens in your garden – the darker the better. Onions contain sulfur compounds that help get rid of the bacteria that cause tooth decay, but only when eaten raw. Whatever you decide to plant in your own garden, make sure they’re healthy fruits and vegetables that you actually enjoy eating. If you know that you hate eating kale, then don’t waste time and space in your garden growing something you’ll never eat. Make room for the foods you love, especially the ones you know will help keep you and your mouth healthy and happy. But that doesn’t mean you should be afraid to try new things. They say everything tastes better when it comes from your own garden because nothing makes you appreciate it more than when you put in the work and get to watch the fruits of your labor literally grow before your eyes. In addition to making your tongue happy, your teeth will thank you for it, too. 1) You have bad breath. It’s one thing if you had a lot of garlic in your lunch, but if you or those close to you notice you chronically have bad breath, it could be a sign there’s something wrong. Not only is bad breath socially undesirable, but if it keeps coming back or remains constant, it could be a sign your mouth isn’t is as healthy as it should be. If that’s the case, trying to cover it with mints won’t solve the core problem. In fact, because mints tend to be little more than flavored sugar, you could actually be making the problem worse. Rather than put it off or hope the problem goes away on its own, you’d really be better off making an appointment with your dentist as soon as possible. 2) You have dry mouth. We all experience dryness at one time or another, especially during certain times of the year when humidity is low. But if it becomes a chronic issue and it doesn’t seem to matter how much water you drink, you need to make an appointment with your dentist. Saliva acts as our bodies’ natural mouthwash, and when there’s not enough of it, it creates an opportunity for plaque to build up and harmful bacteria to take over. It can also be a symptom of a more serious medical issue, so don’t try to treat the symptom by sucking on hard candies or chewing gum. The sugar will do more harm than good and you could end up making a bad situation worse. Not only is it safe to go to the dentist when you’re pregnant, it’s highly recommended. As anyone who has given birth knows, pregnancy affects all areas of your body: it makes your feet swell; creates changes in your hormones; causes your body to store more fat (it’s not just your belly that gets bigger); and, of course, it can affect your mouth. If you already have a dental condition, even if you didn’t know about it, pregnancy can make it worse. To make sure everything is in good condition, you should make an appointment with your dentist as soon as you find out you’re pregnant and let them know about the bundle of joy that’s on its way, just like you would tell your doctor. It’s also more important than ever to keep up with your regular dentist appointments when you’re pregnant to make sure nothing sneaks up on you. 4) You have ongoing medical issues. Whether you’re struggling with diabetes, heart disease, or HIV/AIDS, maintaining your oral health is as important as treating the disease itself. Remember: your mouth is the first part of your digestive system, and as such, it can influence and be influenced by other factors of your health. That’s why it’s especially important to see your dentist and stay on top of your oral health when you’re dealing with ongoing medical issues and/or receiving medical treatment, such as radiation or chemotherapy. 5) You’re having trouble eating. Whether it’s a sudden pain or trouble swallowing, any time you have trouble eating, you need to see your dentist right away. Sometimes they’re minor issues that go away on their own, but if they’re not, waiting could only make them worse. Don’t gamble with your health. See your dentist as soon as a problem starts. Don’t ignore warning signs. If you want to keep your teeth healthy and strong, you must take care of them. 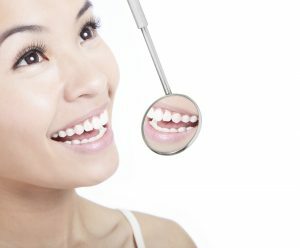 At Simply Smiles Dentistry, we can show you how to properly care for your teeth. You will have a great smile that lasts a lifetime. It seems like teeth get all the attention when we talk about oral health, but your gums and your tongue are also excellent places for bacteria to lurk, especially with the ridges your taste buds form on the top of your tongue. By just taking a few seconds to clean your tongue each time you brush your teeth you can significantly reduce the amount of plaque and unwanted bacteria in your mouth. You can use your toothbrush, although tongue scrapers are also available and they are ideal for the purpose. 2. Use an alcohol-free mouthwash before brushing. Many people assume mouthwash should be used once they’ve finished brushing their teeth, but if you do it in that order, the mouthwash washes away all the fluoride from the toothpaste and can essentially undo a lot of the work you just accomplished by brushing your teeth. By using mouthwash before you brush, you loosen up a lot of the plaque that you can then finish off with your toothbrush and toothpaste. When shopping for mouthwash, be sure to purchase one that does not contain alcohol. Saliva is your mouth’s natural mouthwash, but alcohol can dry out your mouth and prevent your saliva from doing its part in cleaning out germs and old food particles. 3. Hold the brush at a 45º angle when brushing. It may be tempting to hold the brush parallel to your mouth when you brush your teeth, but you can actually miss a lot that way. Brushing at an angle gives the bristles of your brush a better opportunity to get into all those little nooks and crannies between your teeth and along the gum line. As a final word of advice, make sure you always have a stockpile of dental hygiene products. 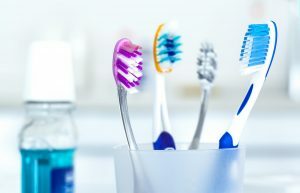 You’re more likely switch out your toothbrush when you’re supposed to (every 3 months) and stick to your daily regimen if you have a ready supply of everything you need. On the other hand, if you wait until you’re already at the end of your tube of toothpaste or roll of floss before adding it to your grocery list, you’ll be more likely to run out before you have a chance to grab more. A few days of missed flossing will not necessarily spell the end of your mouth’s health, but it could be enough to knock you off your routine and make it harder for you to get back on track after you’ve restocked your bathroom. Following these three tips can significantly improve your oral health (and, by extension, your overall health) without requiring you to spend all day in the bathroom. Just a few seconds added on to your daily routine is all it takes to make a big difference. How often you eat and what you eat plays an important part in preventing cavities. Food affects your mouth long after you eat. Eating cookies with dinner will do less damage than eating those cookies alone as a snack. Keep in mind that overall poor nutrition can be a contributing factor to periodontal (gum) disease. It can have other long term effects on your mouth as well. You can take your first steps to mouth-healthy eating by learning how food can affect your oral health. Changes start to happen the minute you begin to eat certain foods. The bacteria in your mouth makes acid. That acid starts the process that creates cavities. All foods containing carbs eventually break down into simple sugars: glucose, fructose, maltose, and lactose. Carbs that ferment break down in your mouth. Other foods won’t break down until they travel further down the digestive tract. Fermented carbs work with the bacteria in your mouth to form acids that begin the decaying process and eventually destroy your teeth. Sugary goods are the obvious culprits, like cookies, cake, soda and candy. But there are also less obvious culprits such as crackers, bread, bananas, and breakfast cereals. Certain bacteria on your teeth use the sugar in these foods to produce acid. That acid dissolves the minerals inside the tooth enamel. This is call demineralization. The good news is that your teeth can regain those minerals. This is called remineralization. Saliva helps the minerals to build back up on your teeth. Fluoride and some foods can help with this as well. Decay begins inside the tooth enamel when the minerals are being lost faster than they are being restored. The longer the food stays close to the bacteria on the tooth, the more acid is being made. Carbs can do more acid damage, but so can foods that get stuck in the cervices of your teeth. On the bright side, some foods help to protect your teeth against cavities. This is because they increase the flow of saliva which will neutralize the acids made by the bacteria. For example, aged cheese eaten right after other food helps to buffer the acid. Chewing sugarless gum can also help. Xylitol is an ingredient in sugarless gum. This sweetener has been shown to reduce the amount of bacteria in the mouth. It also helps to buffer your teeth against the damaging effects of acid. Most sugarless gums and candies help to increase saliva flow, which helps combat the damaging acid. Your body depends on overall good nutrition to stay healthy and so do your teeth. Your mouth is very sensitive to poor nutrition. It can lead to tooth loss, serious gum disease, and bad breath. The foods you eat and how often you eat them can affect the health of your teeth and gums. You must make wise choices to protect your dental health. At Simply Smiles Dentistry, our staff can educate you on the proper nutrition to help you maintain a strong and healthy smile. Cavities come from tooth decay, which is damage to the tooth. Tooth decay can affect both the enamel of your tooth, which is the outer layer, and the inner layer, called the dentin. When food with carbohydrates get stuck on your teeth the bacteria in your mouth turns that food into acids. The bacteria, acid, and food mix with your saliva to form plaque, which sticks to your teeth. Plaque can dissolve the enamel on your teeth creating those little holes we call cavities. A lot of people think that only kids get cavities, but changes in your mouth as you get older make them an adult problem as well. As you age, your gums begin to pull away from your teeth. They also pull away because of gum disease no matter what age you are. This exposes the roots of your teeth to plaque, and if you eat a lot of high-carb or sugary foods you will likely end up with cavities. Older adults often get decay around the edges of existing fillings. Seniors often need frequent dental work because they didn’t get enough fluoride or dental care when they were children. Over the years, fillings can weaken teeth and break. Bacteria can gather in the gaps and cause tooth decay. Don’t be afraid of going to the dentist. If you are an anxious patient, promote calmness by bringing along your music and your headphones. Some people hold their breath when they are nervous, which boosts that anxious feeling. Just try to focus on breathing normally. Most of all, talk to your dentist about your fears. They are there to help you. Flossing first makes brushing your teeth more effective by getting rid of food particles that are trapped between your teeth. When you go to brush your teeth, angle the bristles at 45 degrees at the gum line, then brush gently, moving the brush back and forth. Rinse your mouth with an anti-bacterial mouthwash to help get rid of any leftover plaque. The bristles of your toothbrush can fray and wear over time. To keep your teeth healthy, get a new toothbrush every 3 months. For electric toothbrush heads, follow manufacturer advice. If you have been sick, replace your toothbrush right away. Your mouth needs saliva to remain healthy. However, there are many medications that can cause dry mouth. To help keep your mouth moist, increase your fluid intake and ask your dentist about a saliva substitute product. You can also chew sugarless gum after a meal. Your dentist can find cavities during your regular checkup and cleaning. He or she will examine your teeth looking for soft spots, or use an x-ray to check between your teeth. 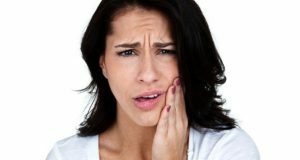 If you have had a bad cavity for an extended period of time, you will probably experience a toothache. It can be especially painful after eating and drinking. You may even be able to see the hole in your tooth. Treatment depends on the severity of the cavity. Usually, the dentist will remove the decayed portion of your tooth with a drill. Then they will fill the hole with a filling of composite resin or silver alloy. If you want to keep your teeth healthy and strong as you age, you must take care of them. At Simply Smiles Dentistry, we can show you how to properly care for your teeth. You will have a great smile that lasts a lifetime. Your Teeth are Not Tools! What Happens When You Treat Them Like It? Teeth serve many functions. They were designed to chew food, support our lips and cheeks structurally, and help us speak clearly. 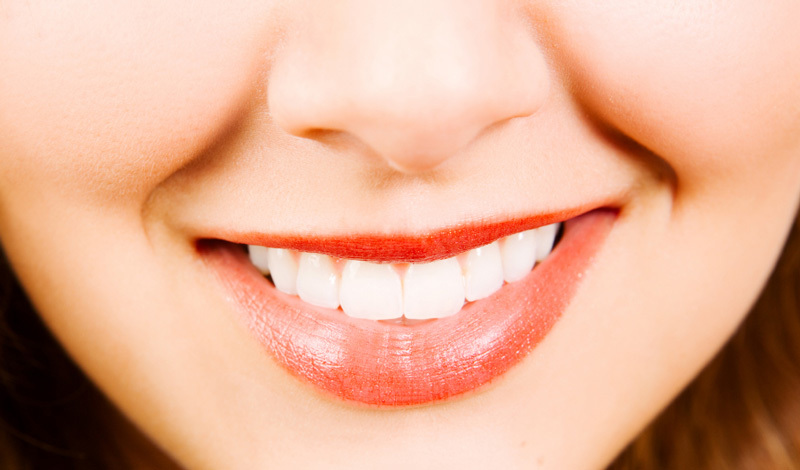 A healthy set of teeth can also add to your overall appearance and give you a very attractive smile. Unfortunately, many people use their teeth for things other than chewing. Teeth are not tools! Here are a few things that you need to avoid doing with your teeth so you can keep them healthy and strong. It doesn’t matter if it’s a beer bottle, candy bar, or a waterproof delivery envelope-do not use your teeth to help you open it. Your teeth were not meant to open things like this. Using your teeth on objects like these, especially bottle caps, can crack and chip your teeth, cause malocclusion (poor law alignment), and wear down your teeth unevenly. Malocclusion can lead to a type of jaw pain known as TMD (temporomandibular joint disorder). A lot of people try to use their teeth to cut through packing tape instead of using scissors. Others try to use their teeth like wire cutters. A man said the easiest way he found to remove insulation from copper wiring was to bite on it with his two front teeth. He got to the point to where he was very good at doing it this way. It’s a good thing his dad caught him one day and told him he would ruin his teeth if he continued doing it. He could have broken or cracked his front teeth. Fortunately for him, no permanent damage was done to his front teeth and he started using actual wire cutters. An oral pathology teacher once showed his class a picture of an old woman that had used her front teeth to hold pins while she was sewing. Over time, the woman had worn small holes in her teeth where she would hold the pins. Each time she would smile, the small holes were visible on the bottom of her upper teeth. The same thing can happen if a construction worker holds nails in their teeth. Using your teeth to hold things can damage your teeth after a long time of doing it. Also, if you had to yawn or hiccup while holding foreign objects in your teeth you could choke. We’ve all seen grownups and kids chewing on their pencils or lids to pens. We do it when we’re bored or just out of habit. Kids would even compare who chewed their pens up the most. We also see people get in the bad habit of biting their fingernails. 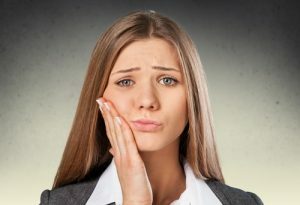 If people continue this bad behavior it can permanently damage their teeth. Your tooth enamel can weaken causing your teeth to chip and lose tooth structure. Sure, nuts and shellfish are edible, but do not use your teeth to crack open the shells to get to the good stuff inside. Over time, the shells are like sandpaper on your teeth and you will eventually be able to see where you have worn away your enamel. You must use a nutcracker or shell cracker to open your nuts and shells. It’s the only way to save your teeth from damage. If you want your teeth to serve their intended purpose, you must protect them and take care of them. At Simply Smiles Dentistry, we can show you the proper way to care for and protect your teeth. You’ll be able to keep your smile working well for your lifetime.